Location: Where my stuff is. Duh! Since everone else is posting their guns, thought I'd join in. Stock O4 Angel Speed. Will get my own picture up when I get it. Here's the shocker. Lot's of ups! 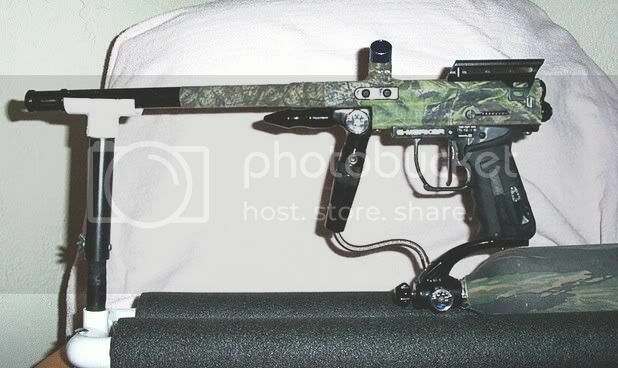 NDZ Bolt, NDZ Roller Trigger, NDZ Ez bleed ASA, SP Q Lock, SP S Rail, SP VA with guage, TON TON frame, Virtue board inside, Dye Stickies 3, full freak system with the AA front. 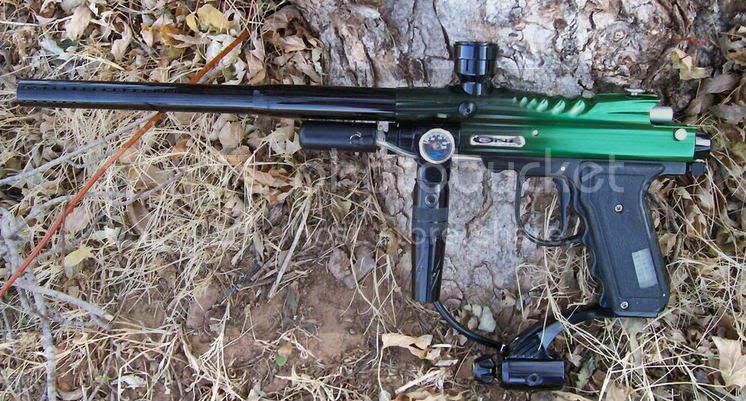 Green to black T1 (for sale, btw!) OGI clamping feedneck, Jambolt antichop bolt, Palmer's Microrock LPR, BL Torpedo, 32* guage, CIP Speedy medium drop with on/off asa, lightened microswitch, painted grips. Not shown, J&J Edge barrel kit. Wanna build a Spimmy? Click me! 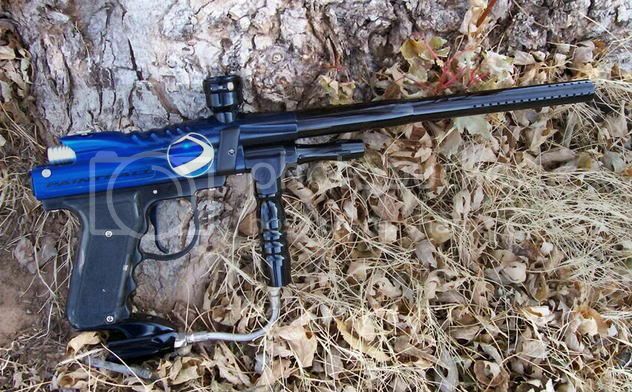 How about a pump Spyder? It's easy! 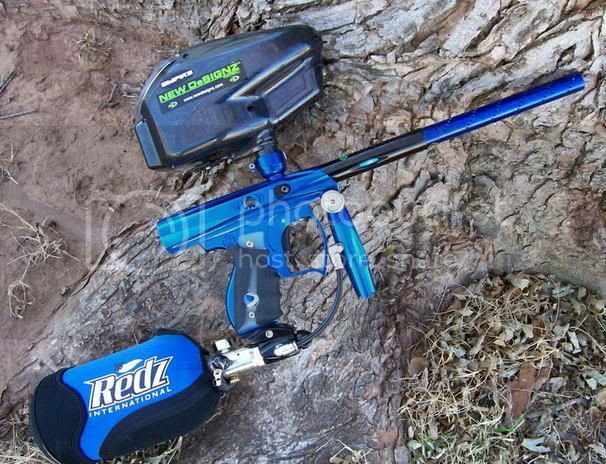 i love the blue shocker. its so clean. 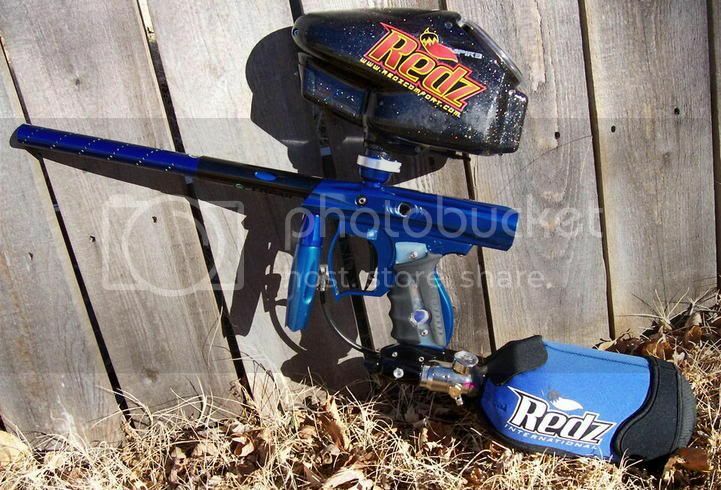 the only thing i dont like is the dye grips. The Dye grips are the best I can find that I'm comfortable with. I didn't like SP grips and Hybrid's are too hard for me. Plus my wife won't let me have any! Now, if they ever make the Bruce Lee grips for 45* grips, I just might go for them! here you go... Blue Bruce Lee grips! buy them now!!! p.s. - the Shocker looks good too! Owner of the "2005 Spyder of the Year"
Misc. SALE - Cocker parts, Ion spares, Spyder barrels, Stingray & more! Sure enough! I thought they only made them for DM's....I might have to look for those. After I get everything for the Angel... Durrell, I haven't forgotten you, just making a list! haha ya like right after i saw your last post i went to my local feild forum and was looking at guns and there they were i was like hey, wow . just get them in blue if you do get them. whats more comfortable to you, the vert frame or the ton ton frame? Vike, i want your shockers babies. o um, i mean, its perty.... Nice, I take it the blade is used for honing your skills? 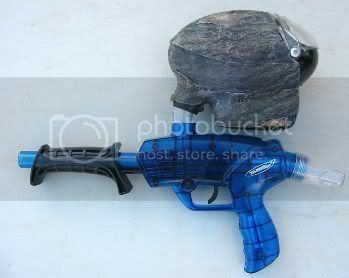 Proud Owner of an Automag! Haha, sounds good. Whenever you're ready, I am.